After a spectacular curtain-raiser in the Supercopa between Barcelona and Real Madrid, the Spanish La Liga finally makes its return. Los Blancos are the current champions of the division, and will be much more confident this term, knowing that the deadly ‘MSN’ trio has been broken up with Neymar now in the colours of Paris Saint-Germain. Still, Barca can never be backed against as they kick-start their campaign at home to Real Betis. Madrid have a somewhat tricky fixture away to Deportivo, while bronze-medallists, Atletico Madrid, travel to newly-promoted Girona. Leganes and Alaves, who both survived their first season in La Liga last term, will be hoping to get their campaign off to a winning start. Lega finished a place above the relegation zone in 17th place. The Babazorros had a much more successful season, finishing in the top half of the table (ninth) and making it to the final of the Copa del Rey. For those who have been following my La Liga picks from last year should know that I usually produce the goods on a Friday evening. These sides shared the spoils on both occasions last term, and I’m expecting another stalemate at 43/20. Valencia host Las Palmas in the final fixture of Friday night. If last season is anything to go by, then we should be in for a high-scoring encounter between these two sides. Las Palmas won this fixture 4-2 at the Mestalla, and claimed an emphatic 3-1 victory at their own turf. Head coach, Marcelino, will be hoping for a much better campaign in his first full season, while he will also help Italian striker, Simone Zaza, find his scoring boots. The Yellows went unbeaten in their preparations for the upcoming campaign, and while their form dipped towards the back end of last season, they showed that they know how to score goals. Get on Both Teams to Score at 13/20 – one of my favourites for the weekend. Celta Vigo host Real Sociedad in the first of Saturday’s La Liga action. Celta had a poor campaign last term, in my opinion. With the squad that they have, they should be up there with the likes of Villarreal, Athetic Bilbao and this weekend’s opponents, Real Sociedad. They finished 13th last season and ended their campaign with a 2-2 draw against Sociedad. Eusebio Sacristan’s men sold Carlos Vela, but replaced him with Belgium winger, Adnan Januzaj. Recent meetings sort of waver in the middle here, but Both Teams to Score seems to be the bet to take when these sides meet. However, my tip here is to get on the Double Chance and Both Teams to Score market – Home/Draw & Yes – at 27/20! Girona will get their first taste of La Liga action when they host Atletico Madrid on Saturday. The hosts earned promotion by finishing off second in the Segunda Division, but 14 points off the top of the table. Atletico will be thwarted with the fact that they can’t strengthen for the upcoming campaign, due to their transfer ban by FIFA. Luckily, they’ve managed to keep hold of all their star players, most notably Antoine Griezmann. At 4/10, the price is too good to pass up. Get on the away win and include in all multiples! Sevilla boss, Eduardo Berizzo, will look for the perfect start as his side host Espanyol. Last season, these sides produced one of the matches of the season as the hosts claimed a 6-4 win over Quique Sanchez Flores’ men. Sevilla have a decent record against Espanyol at the Ramon Sanchez Pizjuan and have made some new additions to the team which could strike fear into the eyes of their opponents. They’ve acquired the services of Luis Muriel, Simon Kjaer, Ever Banega, Sebastien Corchia and Manchester City duo, Nolito and Jesus Navas to name a few. Sevilla should have too much class for Espanyol on the day. Back the home win. Cuco Ziganda will be hoping to kick-start his Athletic Bilbao managerial career with a bang as his side host newly-promoted Getafe. The visitors earned their spot in La Liga via the promotion play-offs last season. Ziganda has not signed any new players, and I’m beginning to question the new boss, even at this early stage of his career. Although he could be seeing it as “don’t fix what’s not broken”. Getafe were poor away from home last season, and that needs to change immediately if they are to survive this campaign. I can only see a home win here. Barcelona will need to prove their doubters wrong as they begin life without Neymar when they host Real Betis on Sunday. The Blaugrana were unlucky to miss out on the La Liga title last term as they went on a rampant run towards last season, knocking everyone out their way. Betis suffered a humiliating 6-2 thumping on their last visit to the Camp Nou, while they haven’t snatched a point there since 2007. Barcelona on the (-1) Handicap seems the only bet worth taking for this fixture. Deportivo face arguably the biggest test of the weekend as they host the champions in Sunday’s final kick-off. Real Madrid absolutely love this fixture. They’ve beaten Depor nine times in a row, with some of the scores being 5-1, 8-2, 5-0 and most recently, 6-2 in their last meeting. The price of 7/20 seems an absolute gift, while I prefer to be a bit more adventurous in my prediction. Madrid should have too much class for the hosts and are tipped to Win Both Halves at 7/4. Last season’s runaway Segunda winners, Levante, face an uphill battle in their first La Liga fixture as they host Villarreal. The Frogs were superb at home last term, winning 17 of their 21 matches, suffering just one defeat. Villarreal, on the other hand, were quite impressive away from home, losing just three of their last 13 games on the road. We should be in for a low-scoring encounter as both teams are well-known for defending. Get on the Under 2.5 Goals market at 11/20. 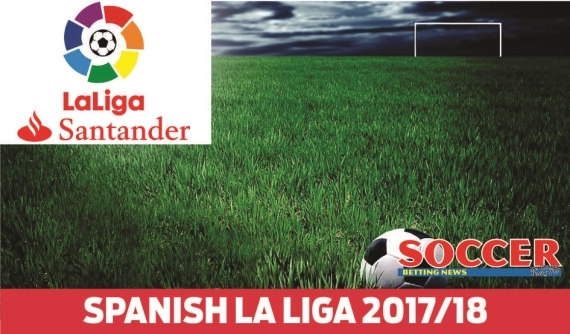 The first weekend of Spanish football draws to a close with a tie between Malaga and Eibar. The hosts have sold a large crop of their players, most notably their midfield partnership of Ignacio Camacho and Pablo Fornals. Camacho sat just in front of the defence and his presence will be missed for the Anchovies. Eibar, who finished a place above their opponents in 10th, also haven’t done the best transfer business, but they haven’t let go of star players like Sergi Enrich and Pedro Leon. I quite like Eibar in this one – back them on the Win/Draw Double Chance at 7/10.